1. 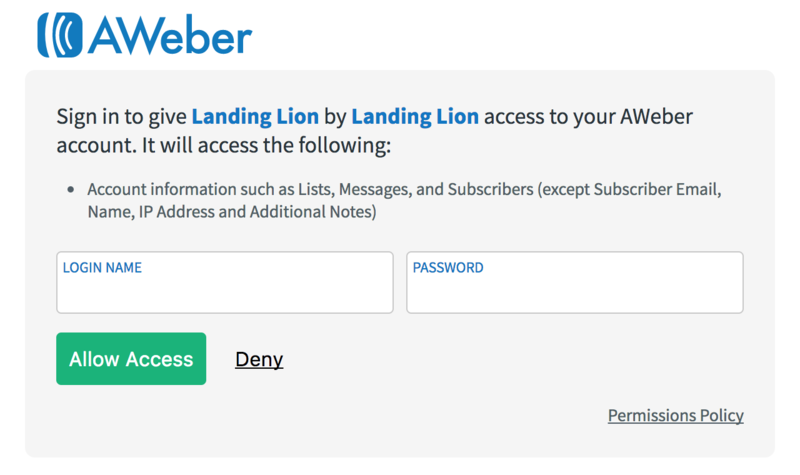 Go to the page settings for the page you would like to integrate with AWeber. 2. Click on the integrations tab. 3. Scroll down to AWeber and click the integrate button. 4. You will be prompted to log in to your Salesforce account. 5. Enter your credentials and click "Allow Access". 7. Select the list you want your leads to be sent to. ️ If you do not see any lists in the dropdown, you need to go into your AWeber account and create an AWeber list. 8. Type in any tags you want to add to leads sent to AWeber.